Silver coin of William III. Dated 1696. Reverse description: Four crowned shields. Silver shilling of William III. Dated 1696. Silver shilling of William III, date 1696. 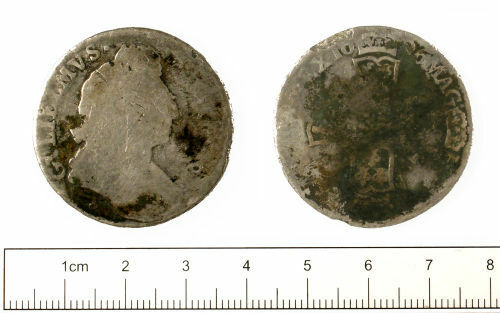 Silver shilling of William III, dated 1696.